The electoral authority announced the results at 7:00 p.m. local time after the closing of the last polling stations. 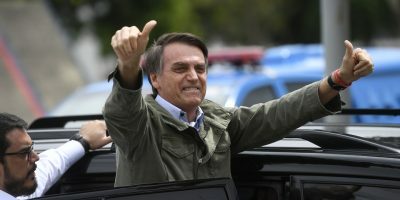 According to the latest polls, support for Bolsonaro grew by six million votes, however, his opponent won an additional 13 million since the first-round elections earlier this month. Some 21.17 percent of Brazilian abstained from the elections while another 7.43 percent of the ballots were marked null. Bolsonaro announced that he will not be speaking to the press, but will be making all his public statements via social media. Congratulations from Latin America’s right-wing leaders began to flow in just minutes after the election results were announced. Haddad made considerable progress with his countrymen abroad. In the Netherlands, for instance, where Bolsonaro only received 900 votes, Haddad garnered an impressive 1047 votes, the Brazilian Consulate General in Amsterdam said.